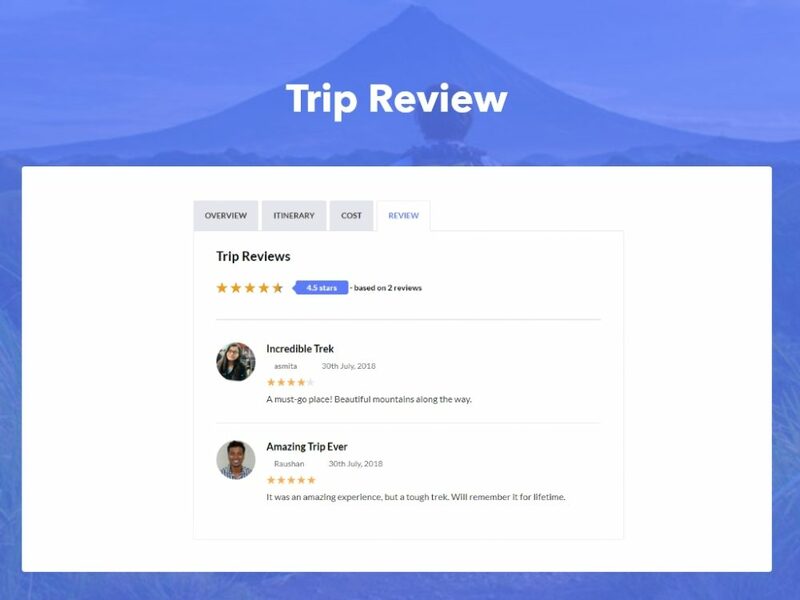 Trip Reviews is an extension for WP Travel Engine that allows a tour operator or a travel agency to add authentic trip reviews onto their website. 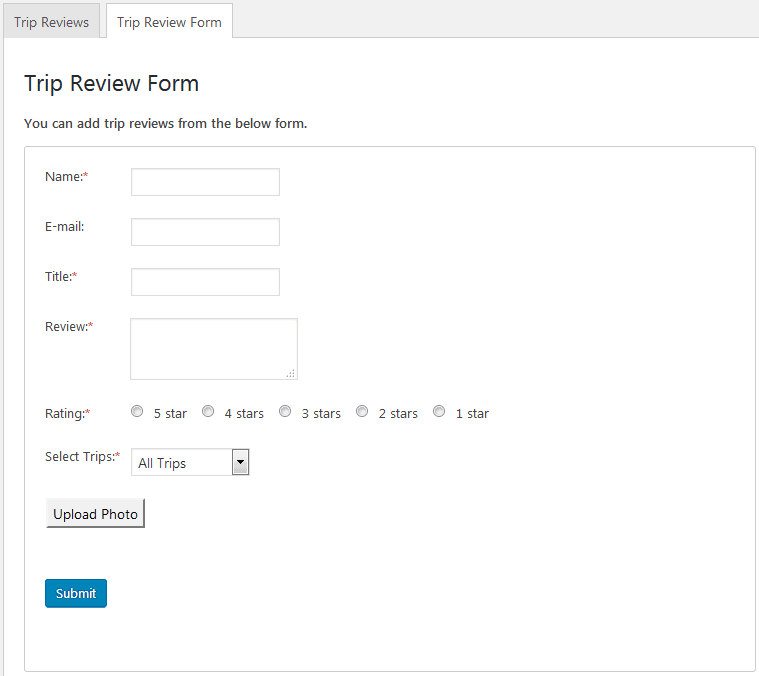 Trip Reviews extension adds a Trip Reviews sub-menu and a Review Tab on activation. 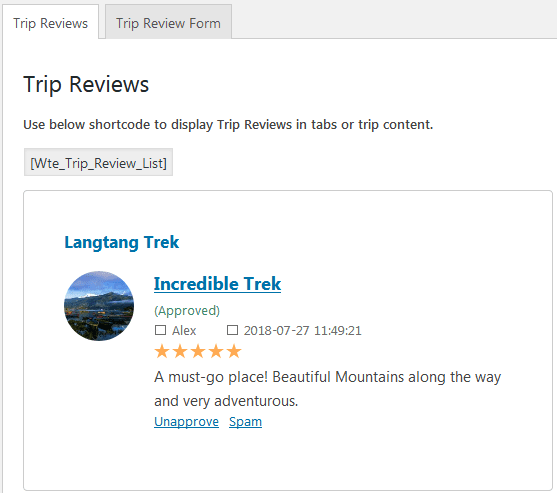 Travel agency or tour operators (admins) can add reviews from both the Trip Reviews sub-menu and Review Tab, while travelers (users) can add reviews to the individual trips from the Review Tab in the frontend. 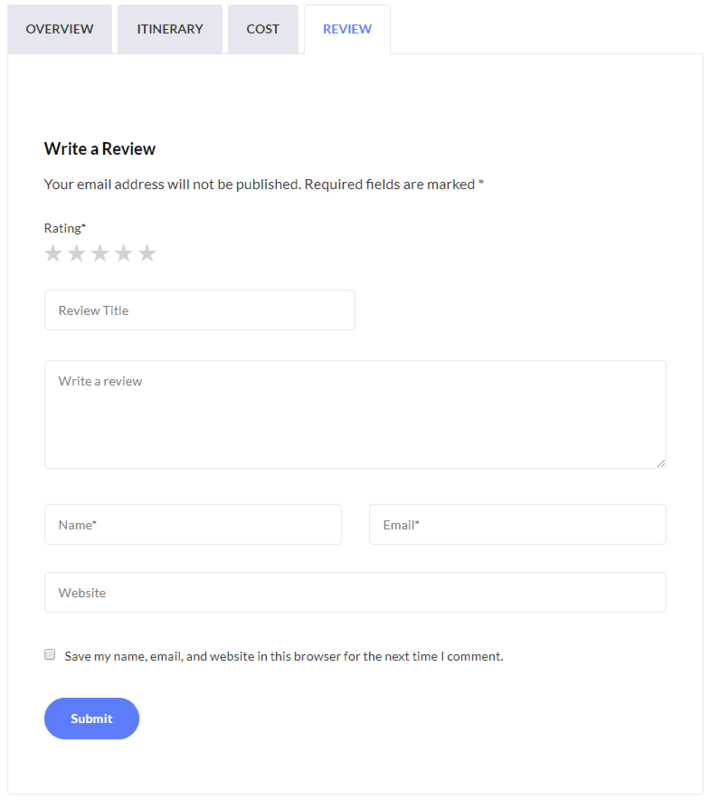 Admin can later approve or unapprove the reviews. 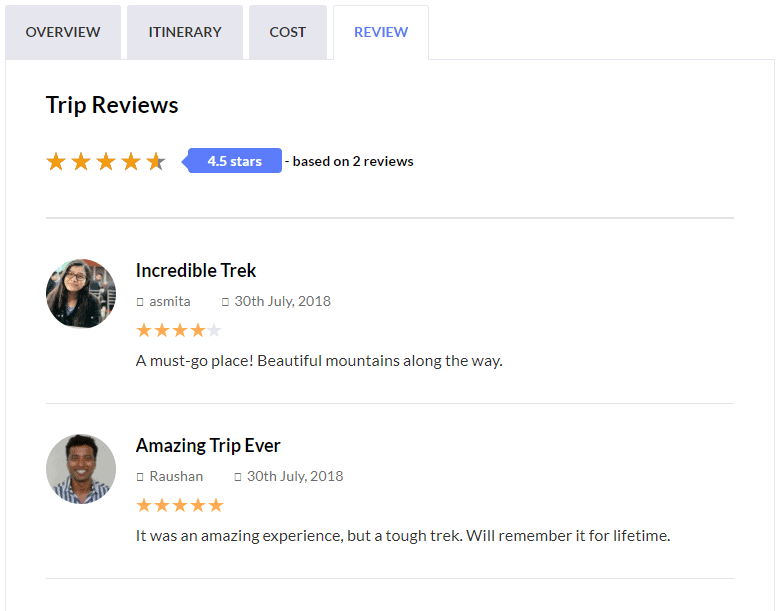 Trip Reviews helps you get more trip bookings with social proof. It calculates the average ratings for a trip based on the total number of reviews. Trip Reviews is SEO optimized. The reviews rich snippet is shown in search engines which increases Click Through Rate (CTR), and therefore, helps to improve search engine ranking. It also encourages your travelers to leave reviews and in turn increase conversion of your travel agency.